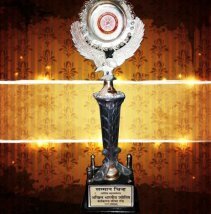 On 27th April 2015, world-famous Astrologer Ankit Sharma received matchless and magnificent award the "Akhil Bhartiya Jyotish Award" in Amritsar of Punjab (India). This highly prestigious and dignifying award has been conferred to him to honor sincerely his opulent gamut of remarkable and miraculous services connected with astrology and palmistry, which have been highly elegant for changing the lives of troubled people of India and countries worldwide, for over a decade. ❺Jyotish Shiromani, and so on. Again, besides these two fields, he is also well-versed in fields like psychic reading, hypnotism, love marriage specialist, Reiki, spiritual therapies, numerology, removal of evil black magic, vastu shastra, voodoo, etc. Problems, issues, and adversities ever occurring in almost all segments of life, have been adeptly and safely solved or eliminated by his impeccable solutions and services related with these fields.